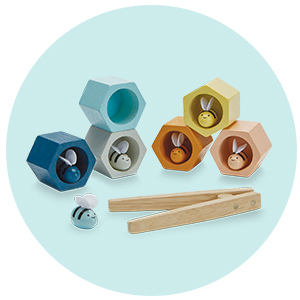 We love Moulin Roty .Moulin Roty put fabulous French design into their amazing toys, making Moulin Roty ideal baby gifts. When it comes to high quality soft toys, designed to make your children smile, then the Moulin Roty brand ticks all boxes. 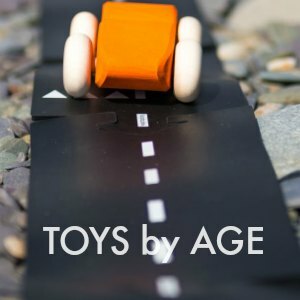 This French toy company makes quality toys for your little ones to love, hug, hold and grow with. Their plush toys are made from beautiful fabrics and designs and are ideal baby shower gifts and new baby gifts. Their comforters and toys for children will put a big smile on your face, as the beautiful soft dolls and soft toys become friends with your little ones. 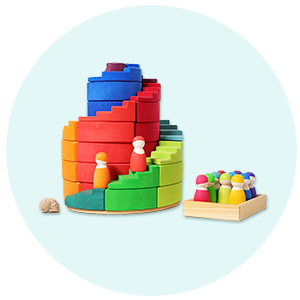 This traditional toy maker started in 1972 in a commune in France, and even today they are a cooperation, based on the founding values of solidarity, sharing and respect. Best known for their "La Grande Famille" range, they also make a wide range of shadow puppet toys, wooden toys, baby slippers and soft toys. 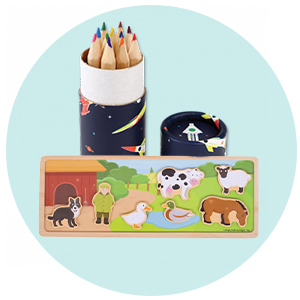 One of our favourites is their wooden toolbox, which is a proper set of wooden tools for children! Moulin Roty, Why we love them! Moulin Roty, Are they just soft toys? Moulin Roty, Where are they made? 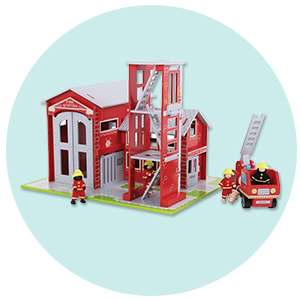 Moulin Roty quality toys are not just soft dolls, baby comforters and rattles. Moulin Roty also has a range of wooden toys and shadow puppets, one of their most popular items is the Moulin Roty storybook torch. 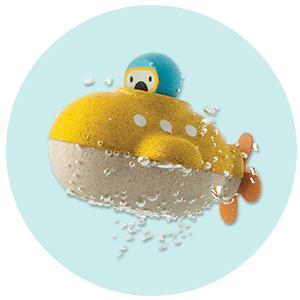 Moulin Roty have been making toys since 1972 and is a cooperative registered in France with a charitable trust running it. What started as a community project to find jobs for the community, and give them a different way of life, Moulin Roty has grown into a worldwide company. The Moulin Roty founding ethics are still the core of the Moulin Roty brand: solidarity, sharing and respect. When it comes to high quality soft toys, designed to make your children smile, then the Moulin Roty brand ticks all boxes. 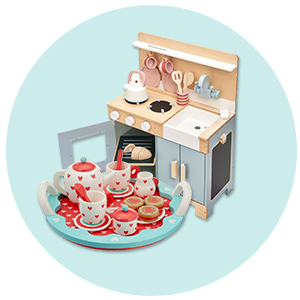 Moulin Roty make quality toys for your little ones to love, hug, hold and grow with. The Moulin Roty plush dolls are made from beautiful fabrics and Moulin Roty designs and are ideal baby shower gifts and new baby gifts. 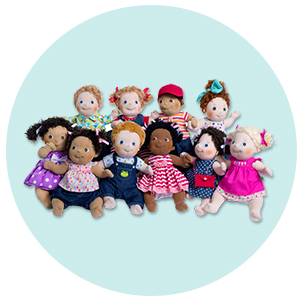 The Moulin Roty comforters and toys for children will put a big smile on your face, as the beautiful Moulin Roty soft dolls and soft toys become friends with your little ones. The Moulin Roty "La Grande Famille" range is their best-known range and reinvents itself with new designs frequently. 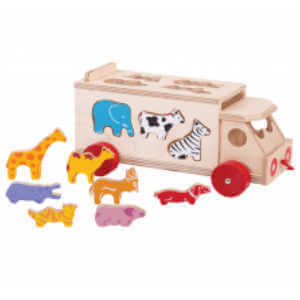 Moulin Roty also makes a wide range of shadow puppet toys, wooden toys, baby slippers and soft toys. 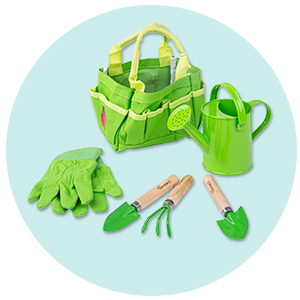 One of our favourites is the Moulin Roty wooden toolbox, which is a proper set of wooden tools for children! As you may know, we are very fussy with the toys we sell. We love Moulin Roty because of their charitable status, because of their amazing design but most of all because of their exceptional quality. I don't think we have ever had a fault with a Moulin Roty toy in 15 years in business! NO! Whilst Moulin Roty are best known for their amazing plush toys, they have a fantastic range of wooden toys, traditional toys and story torches. Moulin Roty is designed in France and their products are made in many countries world wide. Most of their soft toys are made in Ethical Factories in China. Moulin Roty Metal Easter egg - each year Moulin Roty come out with amazing reusable decorations, we love! Moulin Roty Mademoiselle Et Ribambelle Owl Squeaky Toy - Moulin Roty have the best rattles around! Moulin Roty Les Pachats Vibrating Cat - this gorgous jittery cat from Moulin Roty will have your baby squealing with delight!